One Recruits is an independent Hiring Assistance Service offering truly flexible, cost-effective and customized alternatives that facilitate and accelerate the recruiting process. Developed for those who don’t have the time to get through the details of the hiring process, or the budget to contract an expensive staffing agency that includes services they may not even require. We do the leg work to get you to the short list and you do the hiring – it’s always your call and you’re never locked in! What separates us from the big fancy agencies? With customizable services and low overhead, One Recruits provides excellent value. Many organizations struggle to make time for effective and timely recruiting. Yet, finding the right employees is key. One Recruits offers a customized search service with an emphasis on job-board advertising to attract qualified and motivated candidates interested in working for your company. You’re too busy with your own to-do lists to make time for job descriptions, advertising and applicant management, candidate scheduling and interviews, and the ever-important reference investigating. Whether you need a little or a lot of help, One Recruits offers a range of hiring services that allows a business to get assistance anywhere along the hiring process. From simply sorting through applications, to phone screening, 1:1 interviews and reference investigations – clients can get the help they need to quickly and effectively get to a short-list they can hire from. Give us a call to discuss your needs and we’ll prepare a proposal and estimate customized to your requirements. When you’re ready to go, One Recruits will work closely with you through each step of the hiring process to ensure that only candidates meeting your criteria make it to the short list. Advertising: Who will write the ad, and where will it be posted? Who will sift through all those applications to find the gems? What about interviewing? Can I afford the time? Reference checking? It’s really important. Services with One Recruits are flexible and offered à la carte in a transparent, flat-rate simple fee structure that is budget-friendly. Clients always get our full attention and customized service - and we specialize in finding what is special about the person they’re looking for to ensure a good fit with the company and its culture. Contact One Recruits for a customized estimate. A job-specific rate quote will be provided for each assignment. Budget estimates can be provided upon request. At each step of the process, One Recruits will report on progress and confirm next steps with the Client. Following the application screening the client will be consulted as to how many candidates to interview. — Dana Lefort, Vita Health Products Inc.
We received wonderful value from One Recruits. Laura did all the work to get us to the short list and found us candidates we could only hope for. Laura, you have a definite affinity for connecting with people. It was great to have such extensive narratives from your coffee house meetings and telephone reference checks – the individual’s personality really came through – which is an art. The Lake Winnipeg Foundation (LWF), an environmental non-profit organization seeking solutions to ensure a healthy Lake Winnipeg and watershed, is accepting candidates for the immediate full-time position of innovative PROGRAM MANAGER, as part of our Agricultural Water Stewardship program. The Lake Winnipeg Indigenous Collective (LWIC) is a collective of Manitoba First Nations who are working collaboratively to seek healthy and equitable solutions for our waters and our people from the diverse communities who have a relationship with Manitoba’s sacred great lake. Working to strengthen relationships, internal governance structures and initiate collaborative projects, LWIC is seeking passionate candidates interested in becoming our dynamic PROGRAM COORDINATOR. As part of our leadership team, this role will be responsible for developing and implementing measures to achieve cost-effective improvements in operations, manage inventory and ensure compliance with policies and regulations. The successful candidate will have a proven background in managing the operations related to an electronics manufacturing environment with the ability to organize schedules, manage employees and meet performance goals. 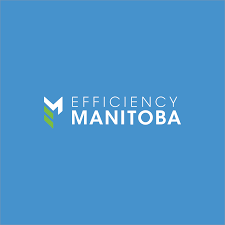 EFFICIENCY MANITOBA, a newly created Crown corporation committed to reducing electricity and natural gas consumption in environmentally sound and cost-effective ways, is accepting candidates interested in a ground-floor opportunity as our dynamic Vice President Finance and Corporate Performance. Candidates inspired by the opportunity of leading an organization in its start-up phase and who have the leadership ability to create the environment conducive to excellence and results achievement will want to explore this rare opening. Thomas Design Builders Ltd., a 40-year strong family-owned and operated general contracting company with a diverse range of projects all across Western Canada is currently seeking candidates for multiple opportunities as SITE SUPERINTENDENT. If you are a natural leader, have proven on-site field administration experience, can operate a commercial construction site from planning to completion, and able to coordinate construction activities within established design, budget and schedule guidelines, we want to hear from you. ST.AMANT and the COMMUNITY RESIDENTIAL PROGRAM that supports and assists adults with intellectual & developmental disabilities in their homes, is seeking candidates for several immediate positions for DIRECT SUPPORT PROFESSIONALS in various homes in Winnipeg. Vita Health Products Inc., a leading manufacturer and distributor of quality natural health products and over-the-counter pharmaceuticals is seeking candidates for several full-time, midnight-shift PRODUCTION WORKER opportunities in our Packaging, Manufacturing and Distribution areas, located in the St. Boniface Industrial Park. ONE RECRUITS. We’d love to hear from you.